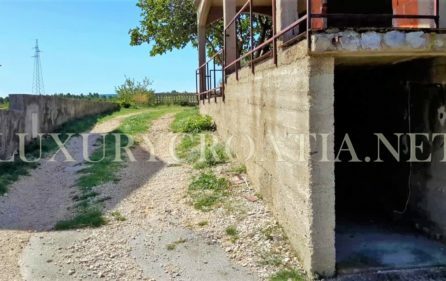 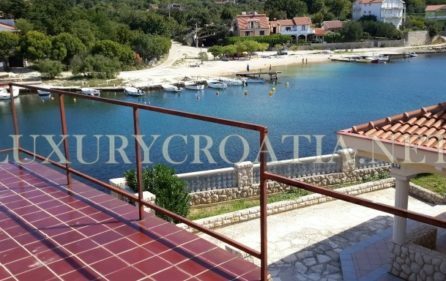 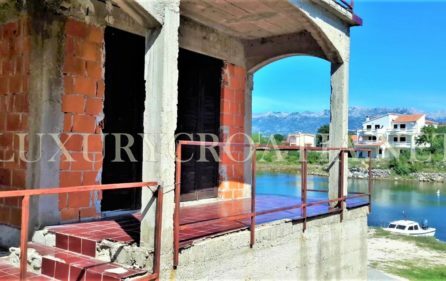 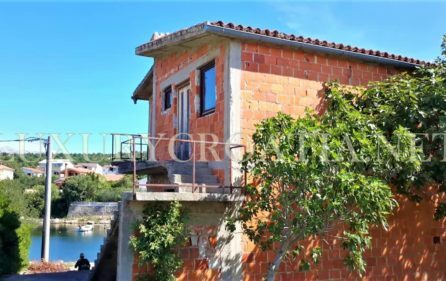 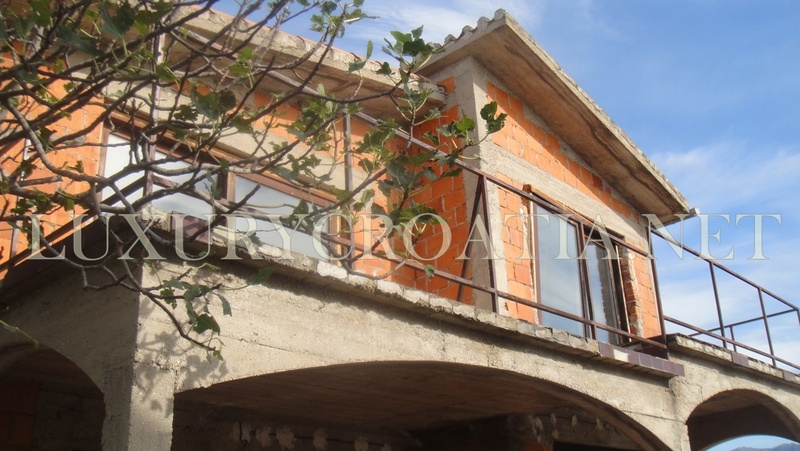 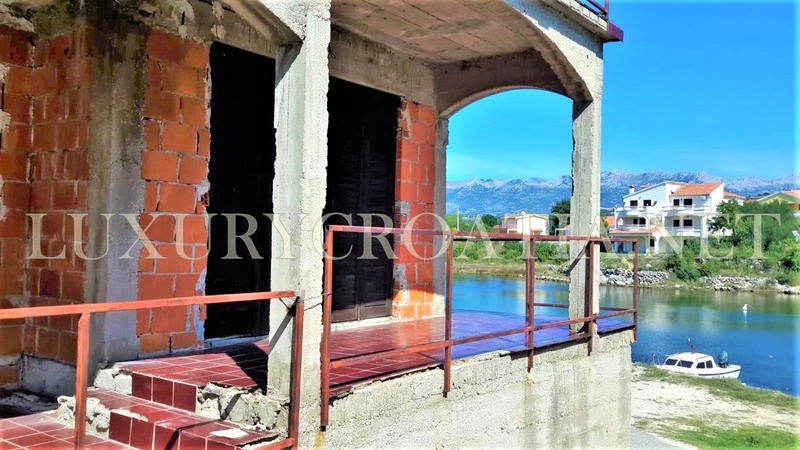 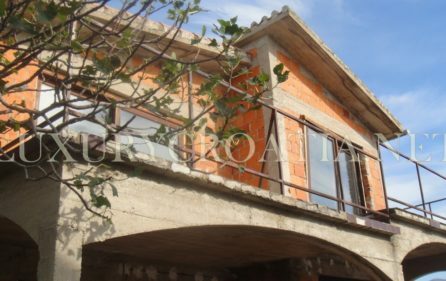 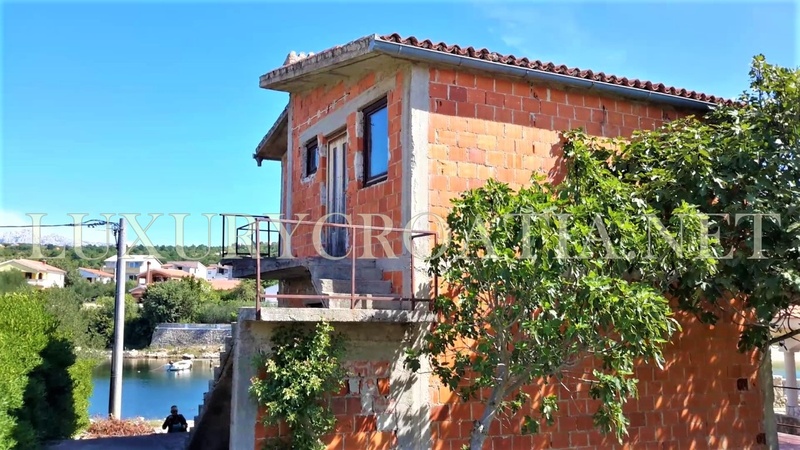 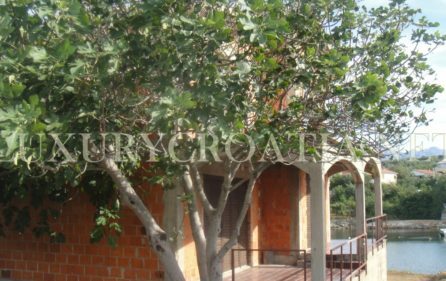 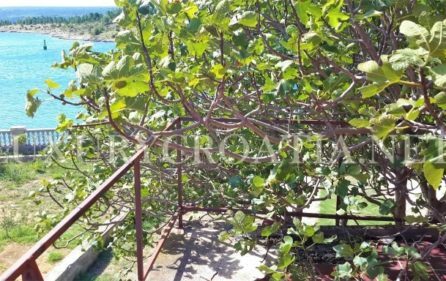 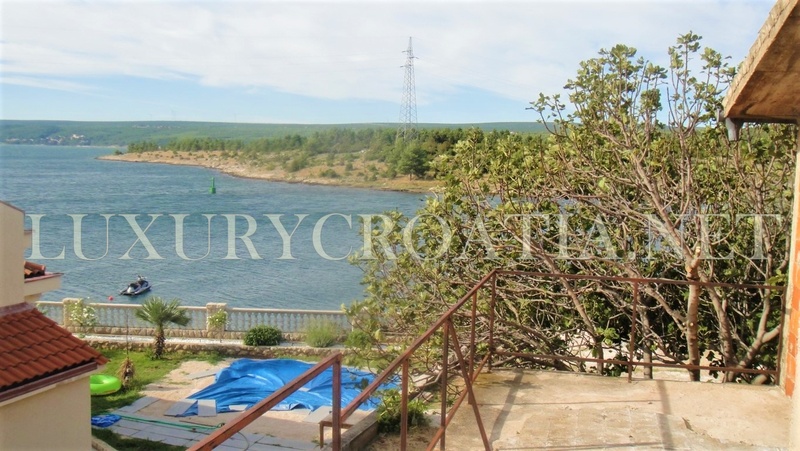 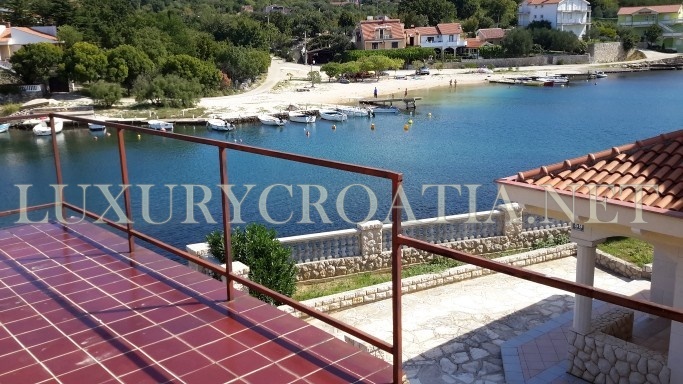 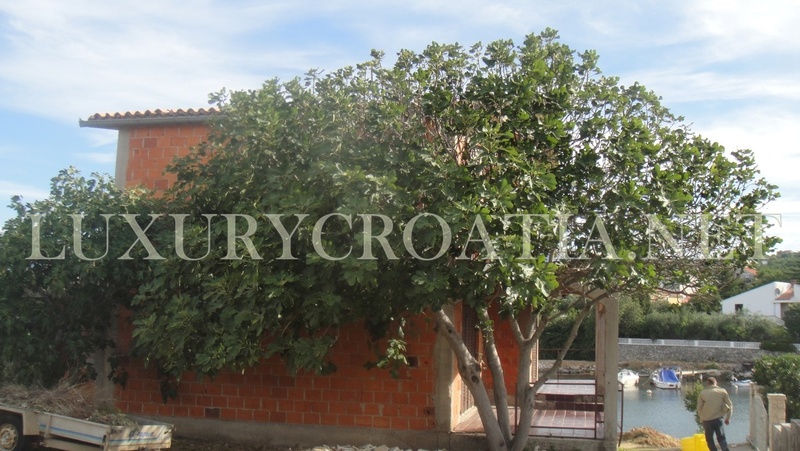 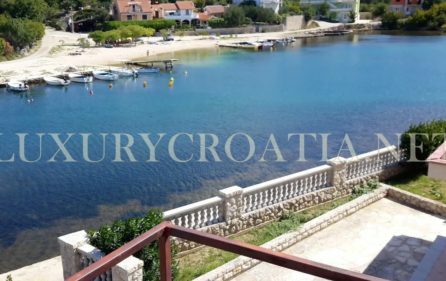 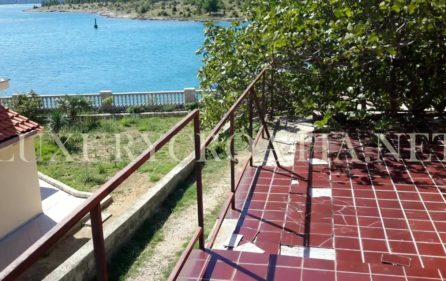 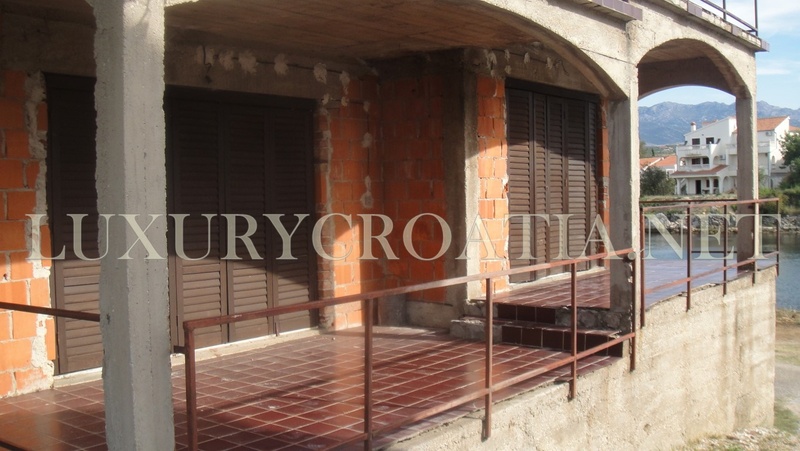 This waterfront house for sale, Zadar Posedarje area, needs a finish, it is built 15 years ago and was never finished. 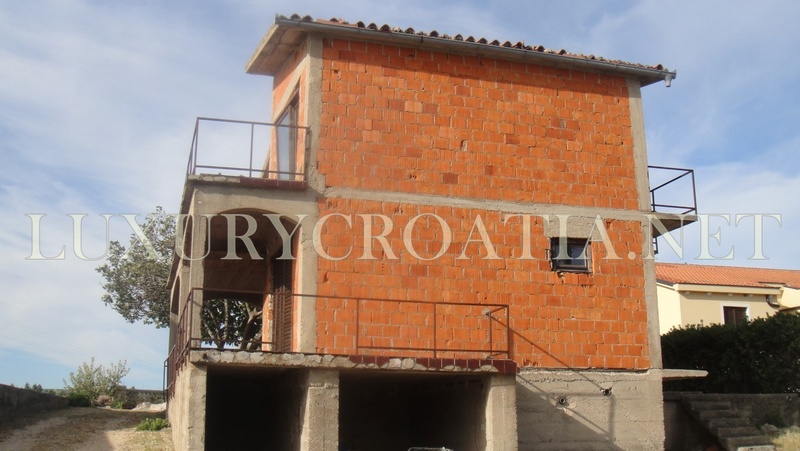 There is a building permit which enables the buyer to complete house according to the permit. 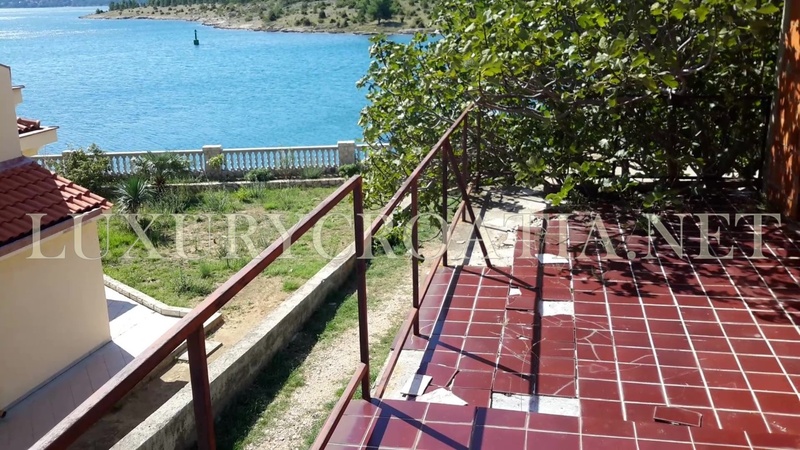 House is directly on the waterfront with car access. 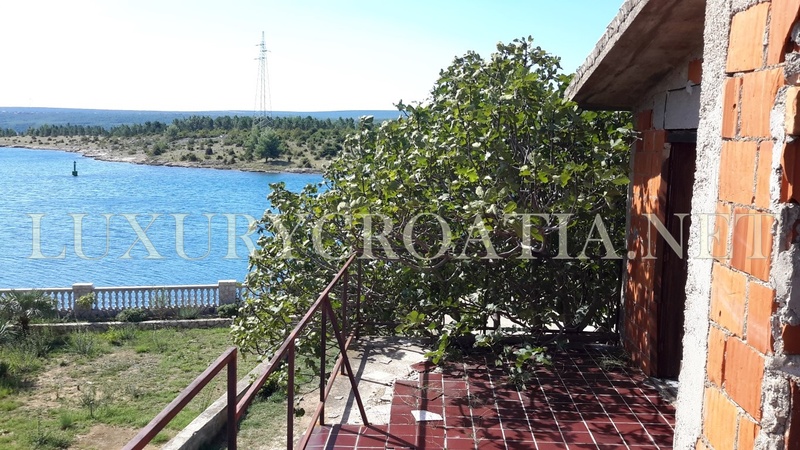 House is waterfront from two sides because it is on the small peninsula with only one more house at the edge. 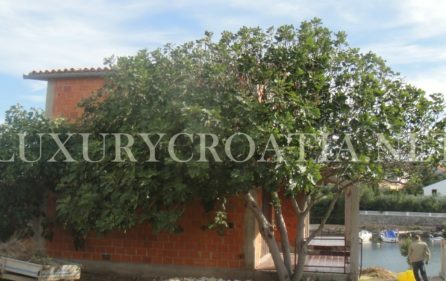 House sits on the plot of 258 m2 of land. 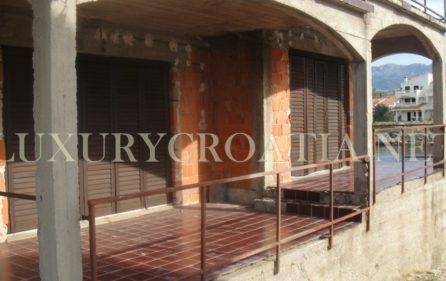 the house has two floors, each floor is organized as a separated apartment. 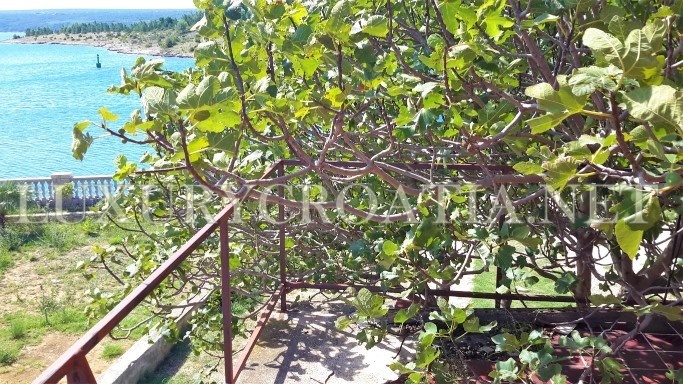 To the upper floor, there are external stairs. 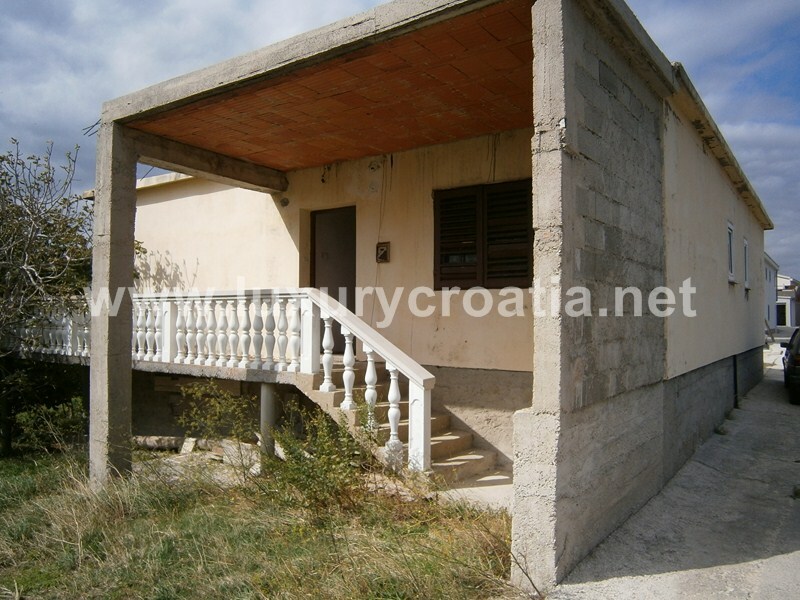 House can be reorganized with a new permit. 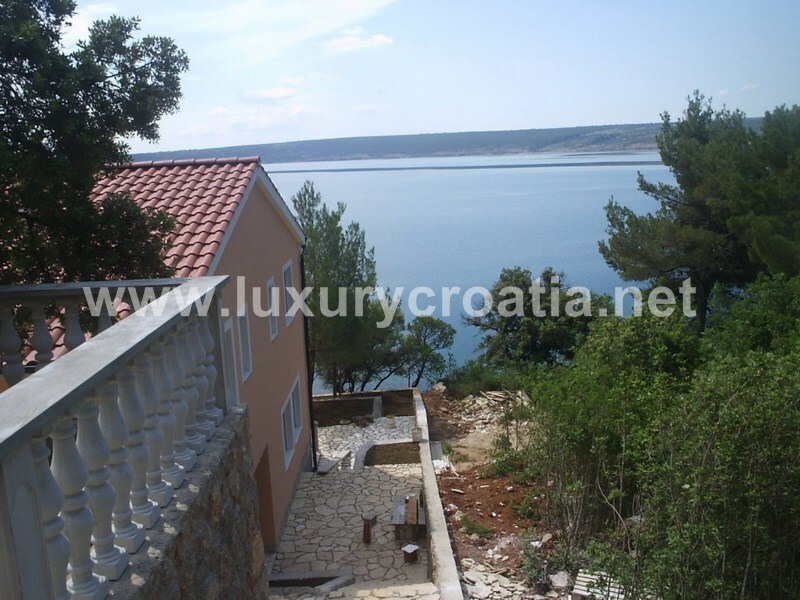 The footprint of the house is about 60 m2, a total of 120 m2. 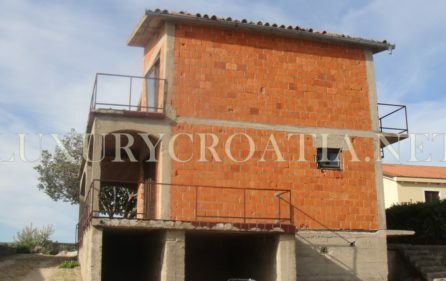 On the basement level, there is enough space for garage and an additional storage room next to garage space. 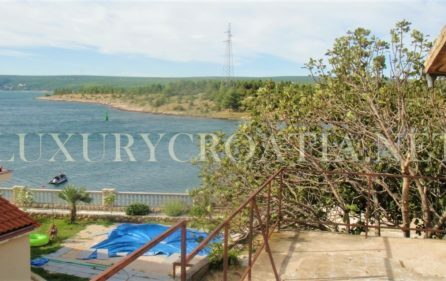 Connection to the electricity and water system is there. 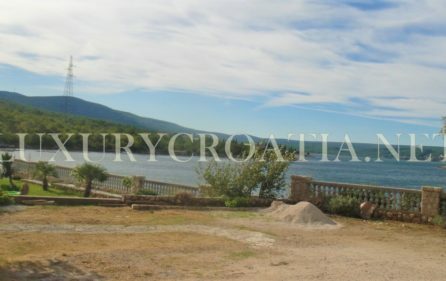 There are beautiful views of the sea from all sides of the house. 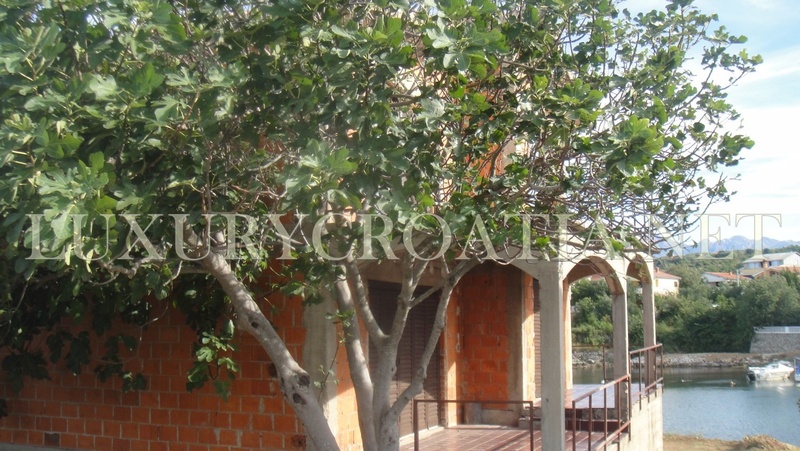 Location is quiet and enjoys a lot greenery. 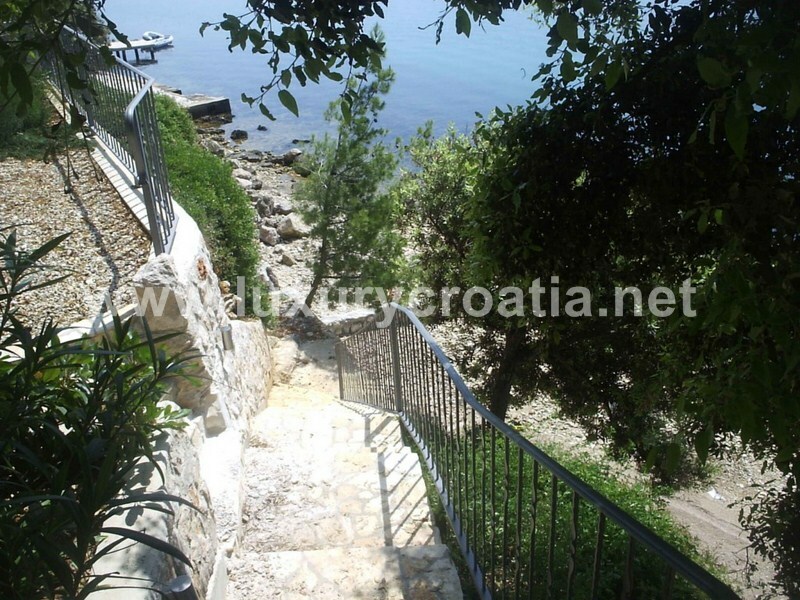 It is a remote location with a small number of houses in this secluded bay where river water meets the sea. 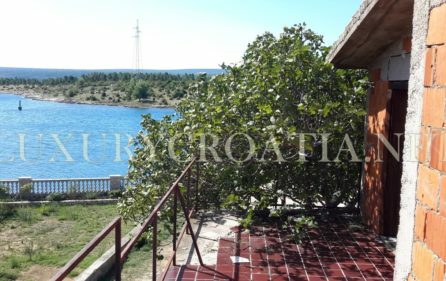 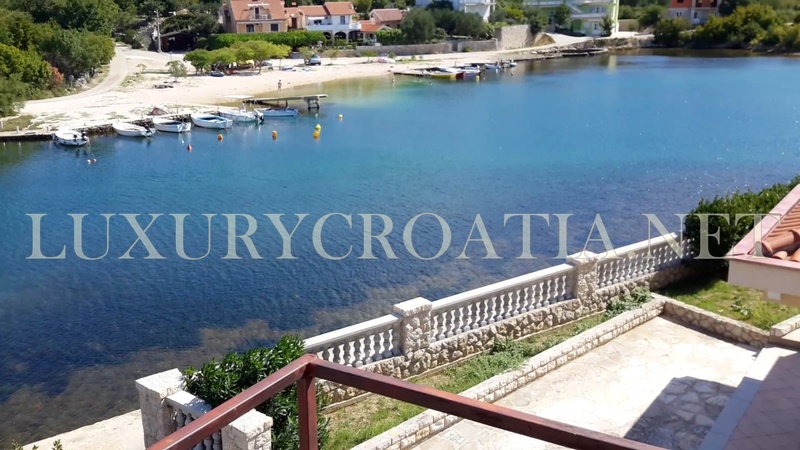 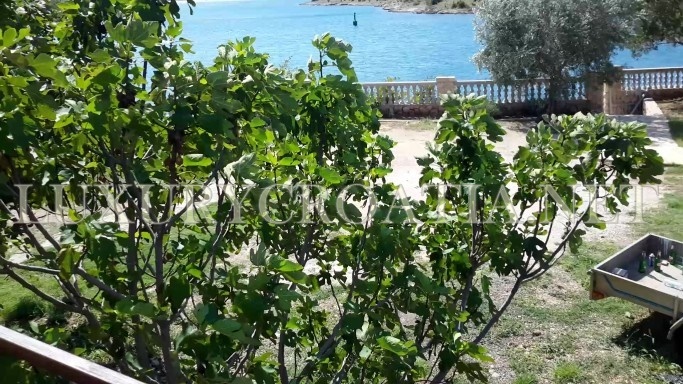 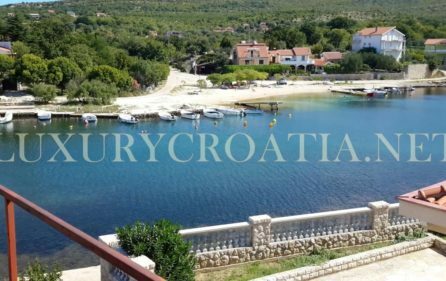 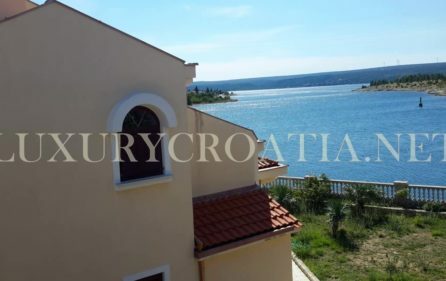 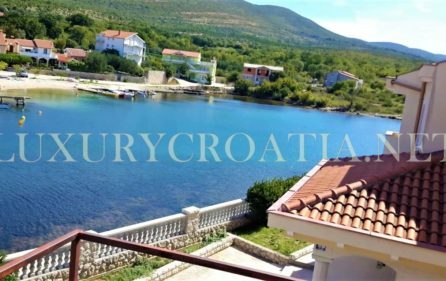 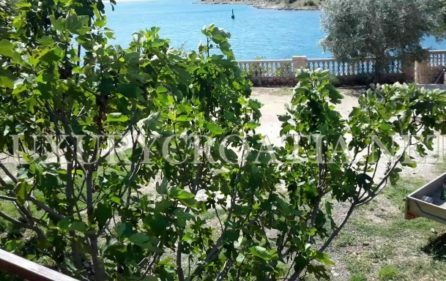 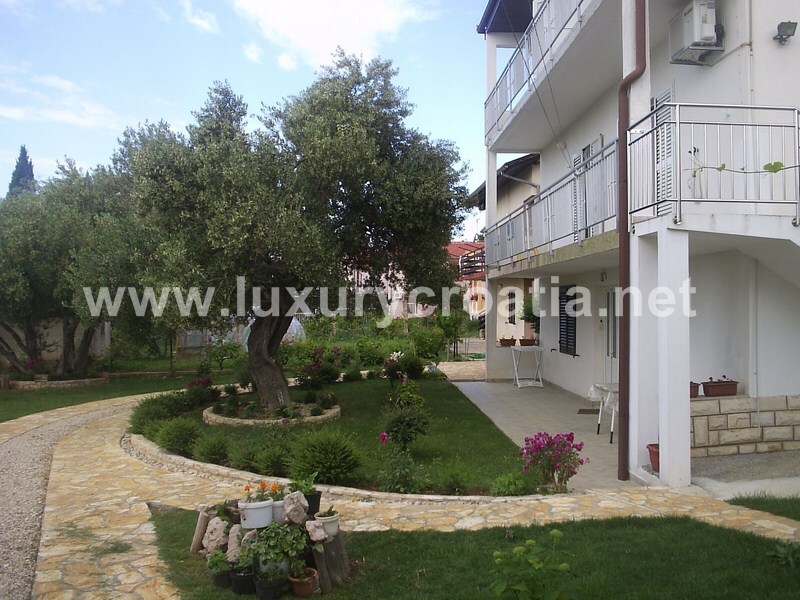 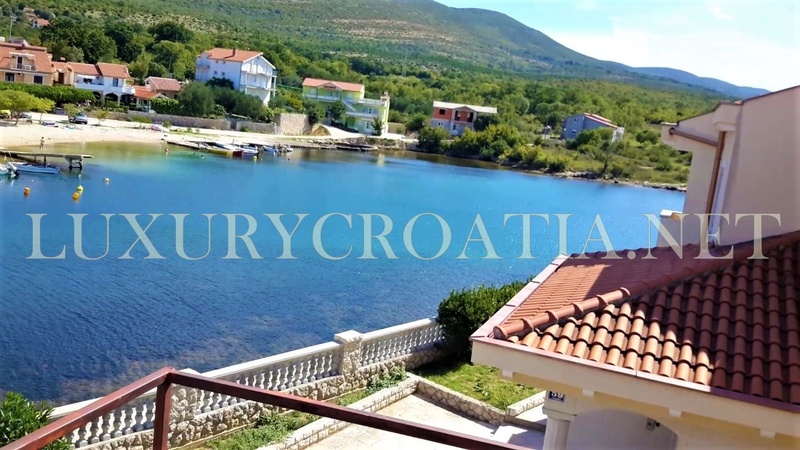 House has the potential for rental business or second home, holiday home to relax in the summertime at this beautiful location with a lot of sunny days all year, pure nature, clean air, and crystal clear water which is mix of sea and river water because river Zrmanja runs through this sea lake into the sea.